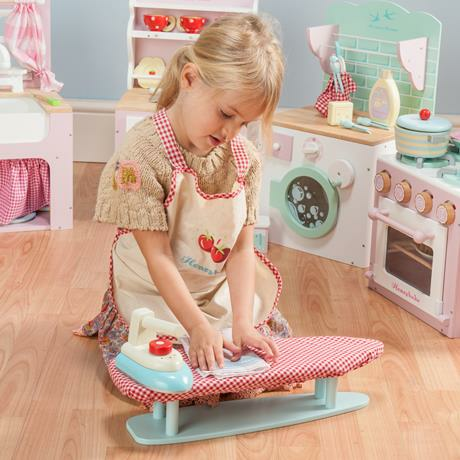 Pressing clothes just got a lot prettier with the beautiful ironing set from Le Toy Van’s Honeybake range of kids wooden toys! 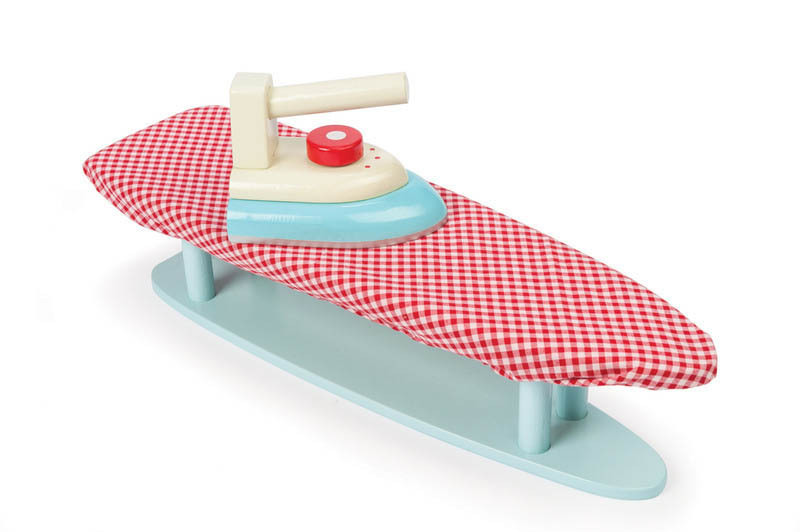 Stylishly designed with a vintage-look that’s completed by the gingham cover, this sturdy table top ironing board has a wooden iron and is prettily painted in cheery colours! 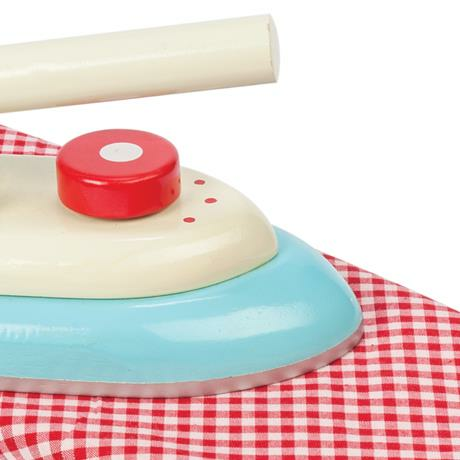 The wooden retro-look iron has complete detailing, including a knob and colours that coordinate beautifully with the board. 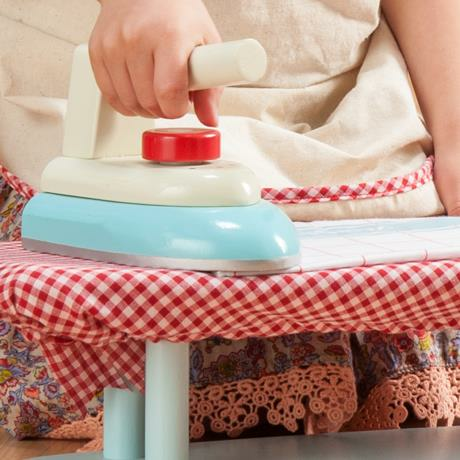 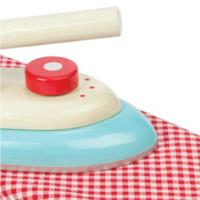 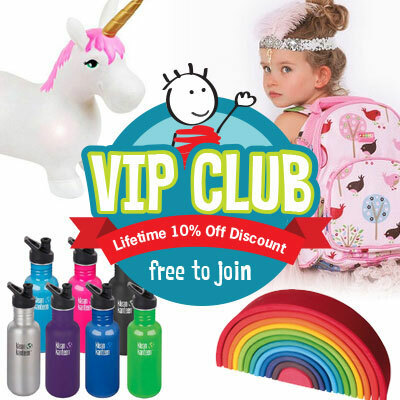 Hours of fun in store as little ones learn to iron and press their dolls’ clothes or their own handkerchiefs!